Overtired or overexcited babies are some of the hardest to get to sleep, even if you know it’s what’s best for them. One of the best ways to help them relax enough to visit the land of nod is white noise and there are a whole host of great apps to give you quick and easy access to various sounds to help them drift off. These are the best white noise apps for a baby. Good selection of white noise sounds. Some users report a problem reminiscent of a memory leak. Baby white noise apps need to be consistent, run in the background, and have great white noise sounds, and this app ticks all of the boxes. You can even mix in some lullabies if your baby particularly likes a certain melody. There have been some reports of crashes caused by low memory on a device, but tens of thousands of parents make regular use of this app to help their babies sleep, so it must be doing something right. A good mix of natural and synthetic white noise sounds. The option to mix in lullabies. Options for pink and brown noise. Some sounds can't be mixed in with others. Changing the volume of individual sounds in a mix would be nice. With a colorful, intuitive interface and the ability to mix together a variety of white noise sounds, Baby Sleep - White Noise from Relaxio is one of the best free white noise apps for babies. It lets you mix together classic white noise, pink noise, and brown noise sounds with household items, nature sounds, and lullabies, and you can control it all manually or set a timer. Download Baby Sleep - White Noise for Android. Works on Android 4.1 and later. No scheduling option for noises. Limited noise options compared to other apps. Sometimes sticking to tried and tested white noise for newborns is what’s best. 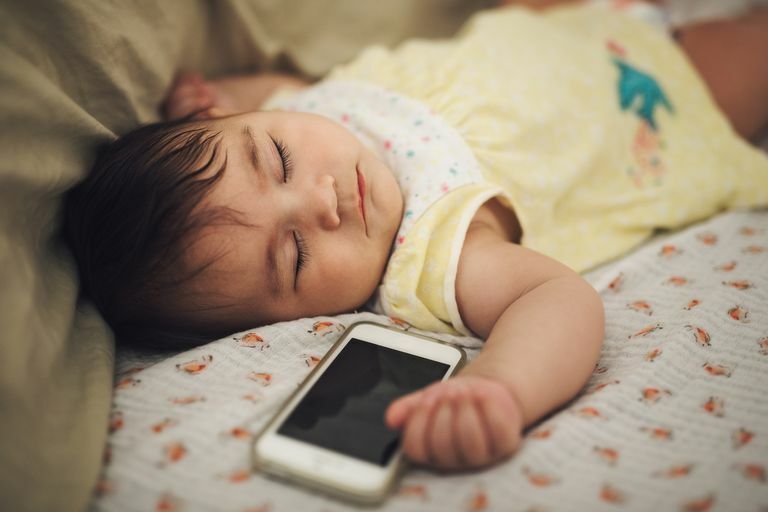 White Noise for Baby might have a limited number of sounds available, but it sticks to the best ones for helping your baby sleep and it’s compatible with a wide range of Android devices. Better yet, it’s battery efficient, so you won’t wake up in the morning to find your battery completely drained. It also plays in the background so you can continue to use your phone while you wait for your little one to nod off. Muted menu won’t distract baby. Ability to record your own lullabies. Sleep tracking is great for learning about your baby’s sleep patterns. You’ll get the most from this app if you’re willing to pay a few dollars to get the full version, but even the free one is a great white noise music for babies app. It has a quiet, muted menu so that you won’t distract your little one when operating it in the dark, and has a great selection of white noise sounds to choose from, each placed within an age appropriate category for easy selection. Great mix of different white noise sounds, including pink, gray, and blue. Includes some classical music tracks. Monitor mode plays white noise if it detects crying. Bright backgrounds aren’t ideal in dark environments. White Noise Baby taps into classical music to offer an alternative sound to the classic white noise to help get babies to sleep, but it also has a plethora of other background noises to choose from. It’s compatible with iPhone 5 through to modern devices and it works far more autonomously than most apps. It can turn on when it hears your baby cry, and makes sure that no incoming messages or calls will interrupt the noise. Easy to understand categories and noise selection. Six lullabies to choose from as well as 30+ white noise sounds. Delayed start times let you play sounds automatically when needed. Some of the best features are locked behind a paywall. Being able to customize the duration and volume of various white noise sounds is a must with the best newborn white noise apps. With this one you can have it start up on its own, so you can have it keep your young baby quiet and relaxed when older kids get up, making sure yours remains the happiest baby on the block. Useful for adults as well as children. Some users found it hard to change sounds. Featuring a selection of white noise sounds and more traditional relaxing noise sources, this Alexa skill offers just about everything you’d need to help your baby drift off to sleep. It’s entirely free and offers timer functions and simple commands that let you control it entirely via your voice. Once installed, just ask Alexa to play your chosen sound from the list of options and you’ll all be off to the land of nod. Great selection of real world white noise sounds. Some users had to periodically re-enable the skill to get it work. Whether your baby likes the noise of a box fan, a cat purring, or heavy rain, there’s sure to be something with this Alexa skill that helps them drift off to sleep. They aren’t all strictly white noise sounds, but they’re all relaxing and they should help everyone sleep, mums and dads too! Can be activated through colloquial commands. No mixing or customization options. Selection of sounds is limited. Google Home doesn’t have the grandest selection of white noise sounds, but they are there and easily accessible. Just ask Google Home to help you relax, or ask for it to play one of its specific white noise sounds. You have the choice of ocean, wind, rain, and a number of more synthetic white noise sounds, right on the tip of your tongue.